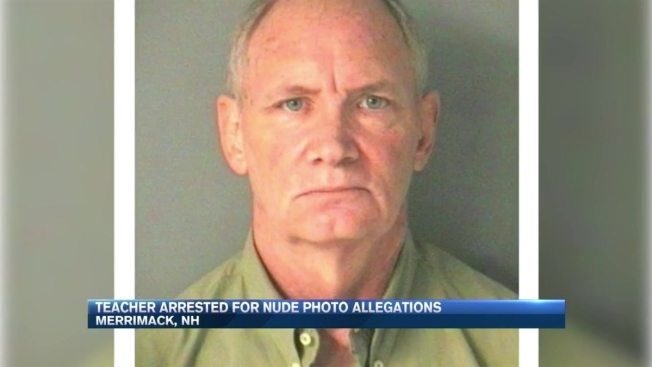 A New Hampshire school board has accepted a retirement letter from a high school teacher arrested Monday for allegedly trading sexually inappropriate images with one of his students. The board accepted the retirement of 63-year-old Robert Todd Wiley, who police say is out on $20,000 bail after he was arrested for allegedly soliciting naked photos of a 16-year-old female student. Wiley had been an English and philosophy teacher at Merrimack High School for decades. Police say Wiley had been meeting and talking with his student and asked for photos of her, while sending lewd photos and videos of himself. A New Hampshire high school teacher was arrested Monday for allegedly trading sexually inappropriate images with one of his students. Police said they were tipped off by the girl's family who found the photos and videos on her phone. According to the superintendent, Wiley was from duty around Columbus Day and he submitted a retirement letter dated October 13. He is due to be arraigned on Dec. 1. It’s not clear if he has an attorney.